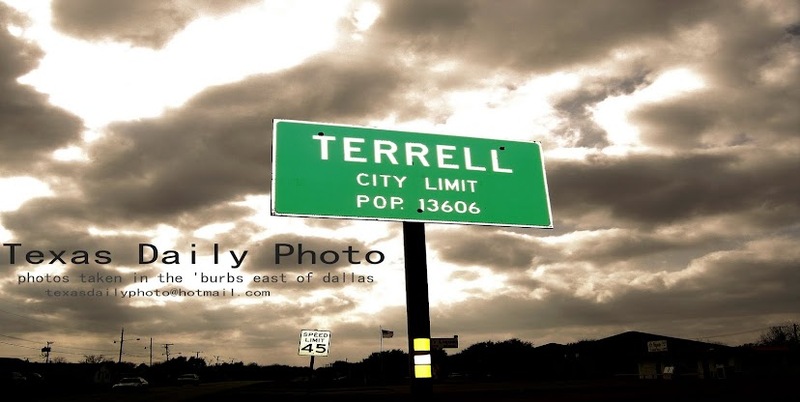 Terrell Texas Daily Photo: time to get busy!! 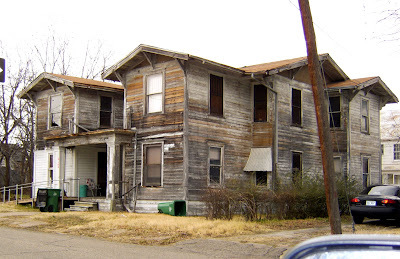 One of my resolutions in 2009 was to paint my house (not this one). Which was accomplished for the most part - there are still some parts of the back of the house to go, but we did get about 80% of the house painted this year. I was quite proud of the result - it made a huge difference, IMO. Now for 2010 I resolve to finish the back of the house so it doesn't start to look like today's photo!! But it has a ramp for a wheel chair, that adds to the value, and I am sure the original woodwork. Wow, when you look at that house it makes your painting project not look quite so bad doesn't it? Here's wishing you a wonderful and Happy New Year! Yikes - it looks about 1/8 done (the white around the far porch). I'm sure it is very nice inside, except for the bugs and the place in the back where the homeless man lives. We'll hold you to that promise! Hope 2010 brings you great things! a little snowfall in terrell! 2009 Photo of the Year Choices! Flag Football - Fire vs Police 2! Flag Football - Fire vs Police!